This dramatic preparation illustrates movement of a unique reptile. Skeleton Length: approximately 18" to 24"
It comes from the common nonvenomous genus Thamnophis. 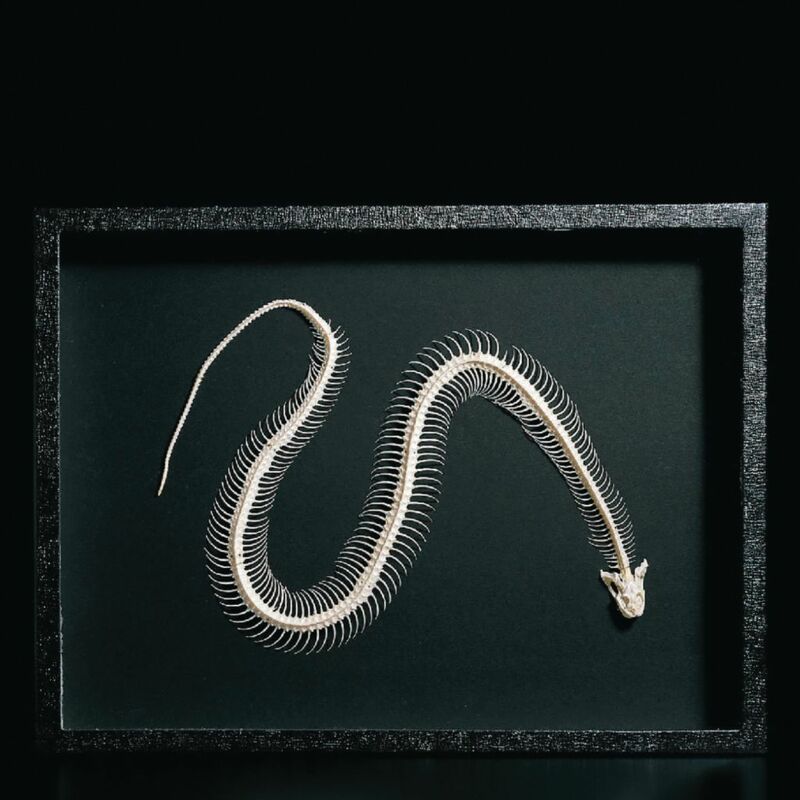 The specimen is mounted on a black background in a glass-topped display box and comes with a key that identifies 39 structures.